The Dundalk Cross-Border Student Enterprise Trade Fair Marshes SC Event grew out of a desire to promote cross-border relations through enterprise between young people on both sides of the border. The idea for it was first mooted by a group of transition year students in Dundalk Grammar School in the middle 1990s, and has now been running annually for over 20 years. 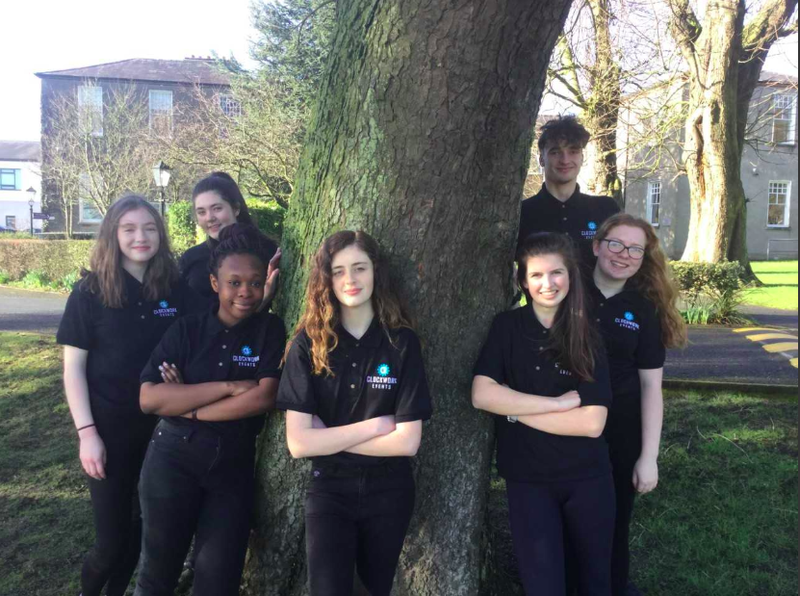 Responsibility for organising has been taken on each year by a group of Events Management students in the Grammar School, and reaching out to include other schools in County Louth, and in Northern Ireland. The Event has grown each year as more local schools embrace the spirit of it, and with the support of Young Enterprise Northern Ireland, schools from Northern Ireland continue to support it. The Event has been held in a number of locations in Dundalk over the years, before moving to the Marshes SC where it has been held in recent years. All is now in preparation for this year’s staging, which will be held in the Marshes SC on this Friday April 5th, starting at 10.00am, and concluding with the Presentation of Awards at 2.00pm. This year’s Event has received strong support from Dundalk Chamber of Commerce, particularly in the provision of judges. Each stall will be judged, and awards will be presented for Best Stall Presentation, Best Marketing, Most Innovative Product, Best Salesperson, Best Visiting Company, and Best Overall Company. The five judges lined up for this year’s Event are Ciara Byrne (Recruitment Plus), Pat McCormick (DKIT), Aidan Harte (Optimum Results), Orla McDonnell (Trahere Coaching) and Breean Weldrick (Osborne Recruitment). Young Enterprise Northern Ireland (YENI) has been an active partner in promoting this event among it’s school members. Representatives from YENI will attend on Friday to show their support for this cross-border event. Ten transition year students, all attending Dundalk Grammar School, comprise this year’s Events Management Group, who have been busily preparing for this coming Friday. Collectively they call themselves Clockwork Events. The school’s Catering Group will be running their Cafe as part of the Fair. They call their Cafe Deja Brew. Ninety three students are participating in this year’s Event, drawn from five schools. Banbridge Academy is the sole representative from Northern Ireland. Five student enterprises are taking part from Dundalk Grammar School, nine from De La Salle, seven from St Vincents, and four from Dun Lughaidh. In all twenty six student enterprises are participating. The public are encouraged to support the students in their enterprising endeavours, and to savour the market atmosphere.